Create truly exceptional photos and Full HD 1080p videos with the COOLPIX S33. Its high-performance NIKKOR glass lens is paired with a 13.2-megapixel CMOS low-light image sensor for superior image quality, versatility and low-light performance. Your shots will impress even you. Create beautiful photos of the people you care about. Smart Portrait System activates several features ideal for portraits, like Face Priority AF, Skin Softening, Smile Timer and more. A new Underwater Face Framing feature makes it easy to shoot photos of people underwater. 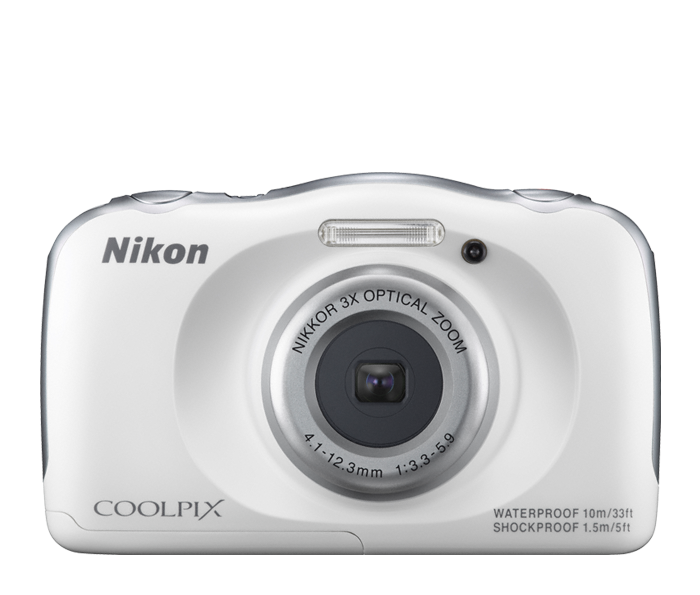 The COOLPIX S33 is so easy to use, anyone can take great photos and videos with it. Select Easy Auto Mode, and the camera will automatically adjust the settings to get the best shot possible.